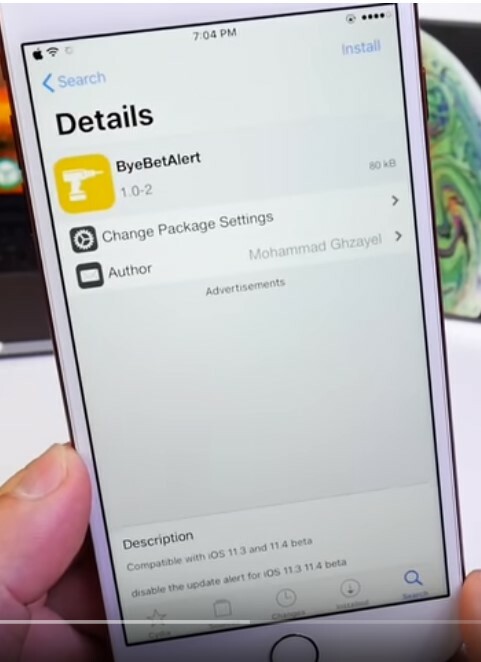 Reboot and re-attempt the jailbreak if it gets stuck at "Extracting Cydia..."
unc0ver v3.0.0~b31 was released with an important safety improvement. Unc0ver v3.0.0~b32 was released with to fix occasional respring loops with reload system daemons. Will this work on iPhone 6? I have three devices a Ipad5 on IOS 12.1.1 and Iphone XsMax on 12.12. I bought a few weeks ago for ridiculous price $500 US IpX on 12.1.2 B+ Quality especially that A12 devices may be weeks if not longer to get the JB working. Can't wait! I miss my JB! iOS 12.1.1 beta 3 is still being signed as of this posting. Pwn20wnd will be dropping his updated unc0ver jailbreak any day that will support iOS up to 12.1.2 If you’re on 12.1.3 or higher you need to downgrade NOW if you want an iOS 12 jailbreak. Looks like ill be downgrading tonight! This is probably going to be a stupid question, so forgive me for asking, but it's been a while since I've tried to downgrade anything. How can I make sure ios 12.1.1 beta 3 is still being signed? IPSW.me isn't showing the beta firmwares on my end. Am I missing something? I have the same question. Where can I see if it's still signed? And where can I download it? So apple is still signing 12.1.1 Beta 3 as of this post. Last edited by th3anonymous1; 02-21-2019 at 06:25 AM. Is apple still signing 12.1.1 beta? Is there a place to check? Last edited by Tonyintn; 02-21-2019 at 09:21 AM. I was auto updated to 12.1.4 even though I have auto updated disabled. Gonna try downgrade now. Def helps fill the gaps on waiting but it is not for none experienced people. Apple is signing 12.1.1 beta3 you can Downgrade to that. You would never have a update if you ran the certificate for Tvos like i posted to everyone. After downgrading to 12.1.1 b3 you will get annoying pop up but once there is a jailbreak there is block for that. No real place to check but the fact that if you save blobs and it still pulls it as a bloob then apple still signing. Window will close real fast once apple gets wind of it being open. It can be found here all the beta software for all devices. Last edited by Mr.x; 02-21-2019 at 09:39 AM. Ill be trying to downgrade my ipad pro tonight. Hopefully its still being signed. Got busy after doing my phone I forgot about the ipad. It went ok. I Then started to setup the iPhone.Language, WiFi, Fingerprint setup etc and then is asked to setup as new or from backup. I selected iCloud restore. It showed me the available backup. There was one from last night so I’m thinking this is great. Then I get a screen saying ‘update to 12.1.4’ there was no other options. Couldn’t skip it couldn’t back out. So I had no choice.